Melt-in-your-mouth flavor of a flaky, buttery cinnamon pastry. If only the bottle magically refilled itself. Let me start by saying that I am NOT a cinnamon fan (bakery or hot candy type) so when I first ordered this I requested light cinnamon. When I tried it I could not believe how much I was enjoying the sweet bakery cinnamon flavor that it had so my second order I just ordered as is. This is one seriously nice juice. It is unreal how much it tastes like an actual danish...buttery, sweet and bready. I can't say that the cheese part comes through so much as a flavor as it does add an extra depth to it. Its something extra that isn't there with the Churro (EXCELLENT also). If you like cinnamon roll juices then this is a must try...10/10! I have been trying flavors from all sorts of places looking for a favorite and I finally found it. Have passed by many cinnamon flavors with barely a glance, not generally to my taste, so not sure what made me try this one. So glad I did though. Love this and can't get enough of the buttery, creamy, cinnamon. Not overpowering or fake tasting at all. Can't wait to order a big bottle. Even Non-smokers/vapers love it's aroma. This is one of my favorite vapes. I notice stranger, in public, ease over close enough to me to smell the vaper, I usually just wait for them to say something like "What are you smoking? It smells so good it's making me hungry." I've never received so many complements on a flavor. It's my first vape in the morning and my 'go to' all day. Although I do like to switch up during the day, I'm never far from a cart. full of Cinnamon Cheese Danish. 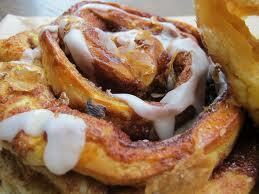 I absolutely love Cinnamon Cheese Danish. My hips, however, love it a little too much. Vaping this succulent concoction from Altcig lets me indulge in that love, without it heading straight to my hips. The cinnamon flavor is there but light, just as it is in a real danish. I don't know how Altcig does it, but I'm glad they do! I won't be without this one. It's my lower mg, night time, sweet tooth craving vape. The throat hit is milder, to me, so it's a good winding down from the day type juice. I can't put this stuff down. Great smooth flavor that I am loving. Very smooth TH and plumes of vapor! Light cinnamon taste, not overbearing at all. The buttery cheese makes it very rich. I picked up a 6ml to test it... I will be ordering a few more of these in 30ml. That is how much I'm liking this. I have to agree with the last review...it's a lighter side of having a churro... 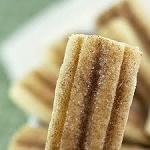 If you have ordered a sweetener from Altcig... You got yourself a Churro. But this is great!! Not as over powering and just right... This is a great alternative of having a Churro. This can be my ADV for a dessert in my rotation. Very complementing with a cup of joe. Thanks again.. altcig!! This is like a milder version of Churro for those days when I want something not quite as cinnamon-y. So, if you're a Churro lover, you will definitely enjoy this vape! I don't write many reviews, but I have to take the time for this juice. It is absolutely wonderful. I have tried many juices and this one is in my top 3 favorites. It's an all day vape for me. I will be buying more of this one for sure. Thanks AltCig for your awesome tasting juices! I'm a forever customer! This is another one I really enjoyed. Touch of cinnamon and cream cheese. Yum. Not too sweet. You like cinnamon but not too strong, this is it! It's like being in a bakery. This one is so very good in my rebuildable atomizer the Vivi by Smok. I normally do not do reviews but this juice is one of my top 5's. Cinnamon cheese danish was my first Altcig love. They have perfectly balanced that creamy tangy cheese flavor with just the right touch of cinnamon and rich buttery pastry to create one of the finest eliquids on the market. Like the person before me said, "Get the big bottle!" ... It's hard to put this one down! This juice is s delicious, so true to its description its amazing. you know the feeling when you sit in a coffee shop and order Cinnamon cheese danish cake, well, you get the same feeling here. So good, wow, I tested it on 3.7V, 4.4V and 5.2V and the flavor is so good. Defiantly an all day juice but I'll keep as a dessert, at least till i get some more, lol Great smooth TH, great thick clouds of vapor . Highly recommended even if you not a sweet/dessert kind of person, you will still like it. Just got this in the mail today and added right to a tank. Addicting flavor and nice aroma! Worth it! Get the big bottle! Enough said!